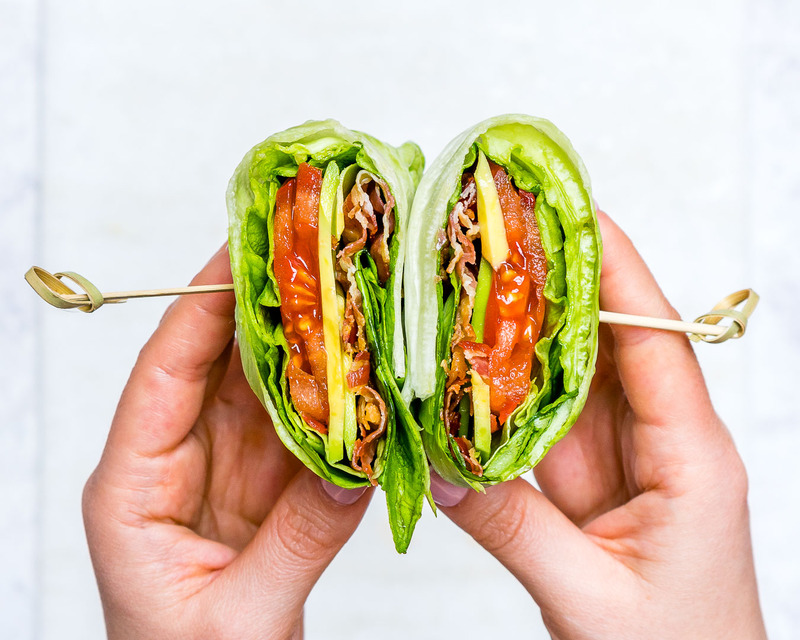 These Skinny BLT Avocado Wraps are a Clean Eating Winner! Pretty much my favorite thing EVER invented. Well ok, besides my kids…and my fiance…maybe our dog too…but…a girls gotta eat! Lunchtime, snacks, breakfast (add an egg!) …whatever…I’m happy! 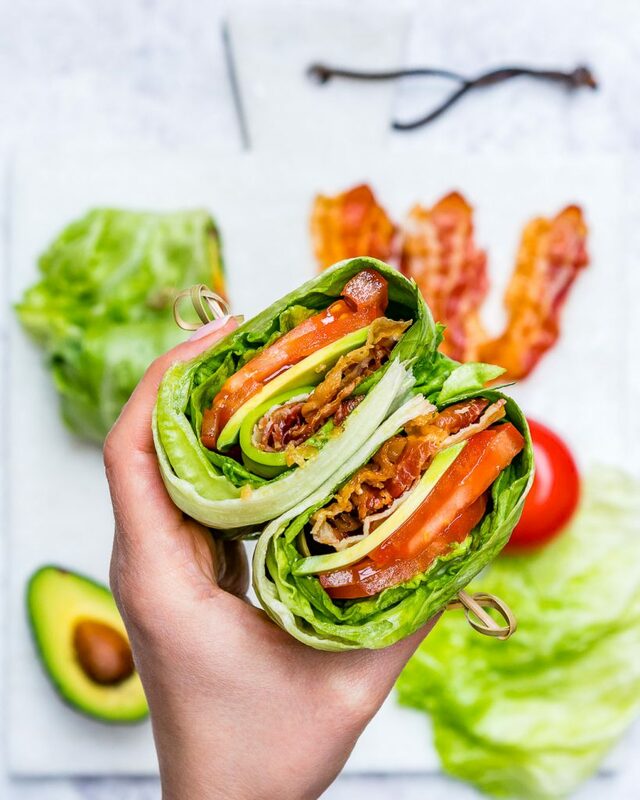 And since it contains those good avocado fats, we feel totally satisfied afterwards! 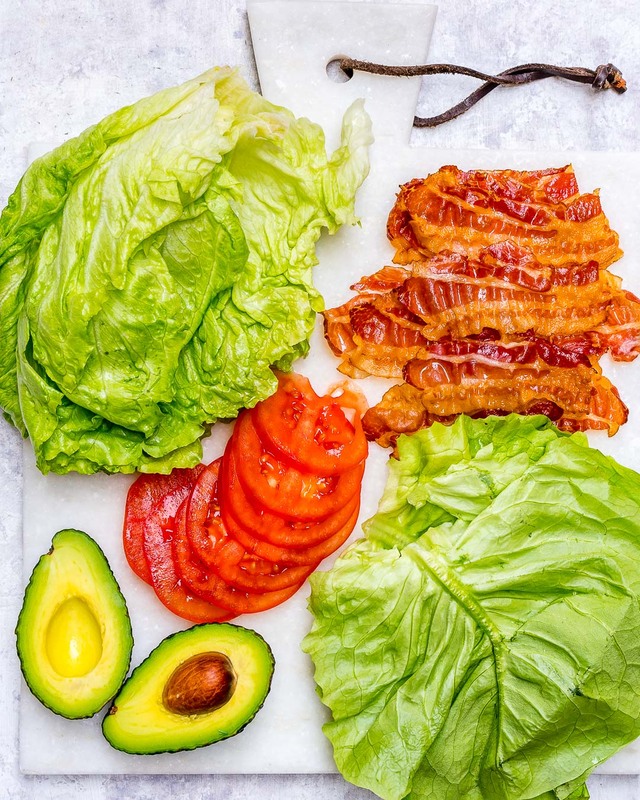 Lay out one large iceberg leave, then layer on 2 slices of butter lettuce leaves on top. 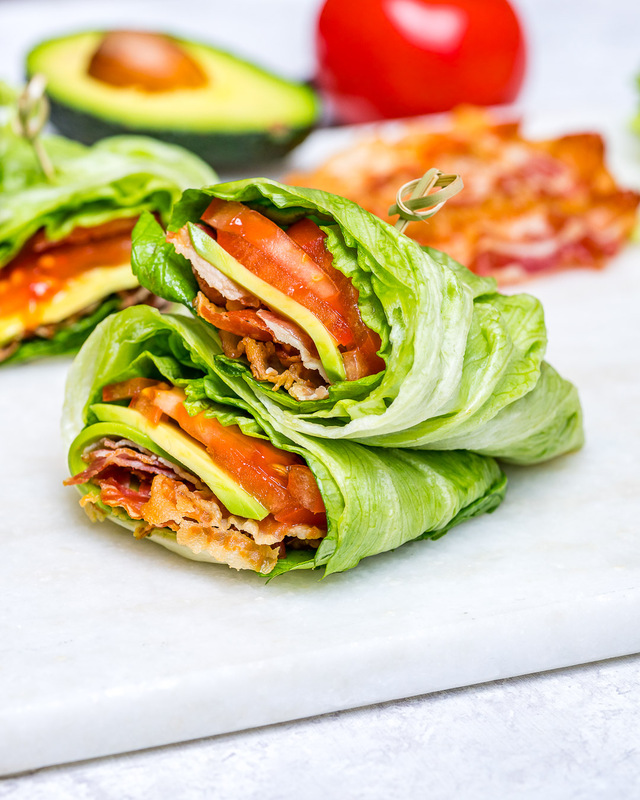 Top nicely with a few slices of both tomato and avocado, then add in 2 slices of bacon. 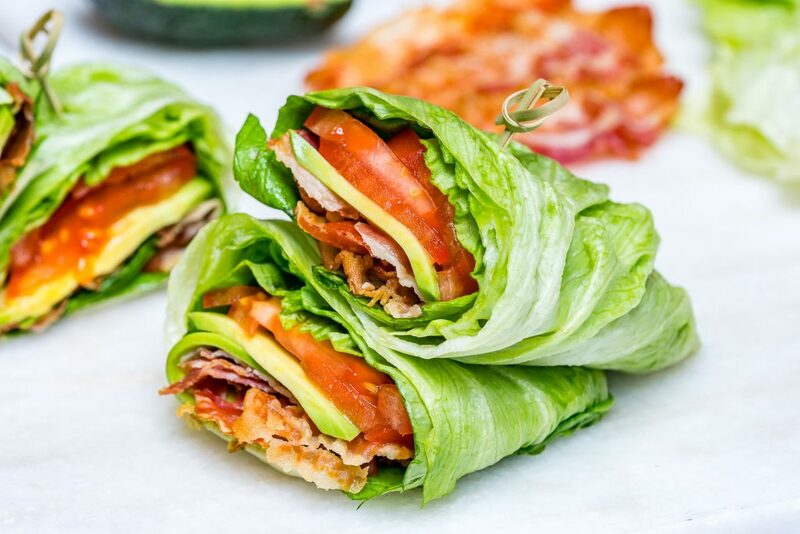 Fold the bottom up, the sides in, and roll like a burrito. 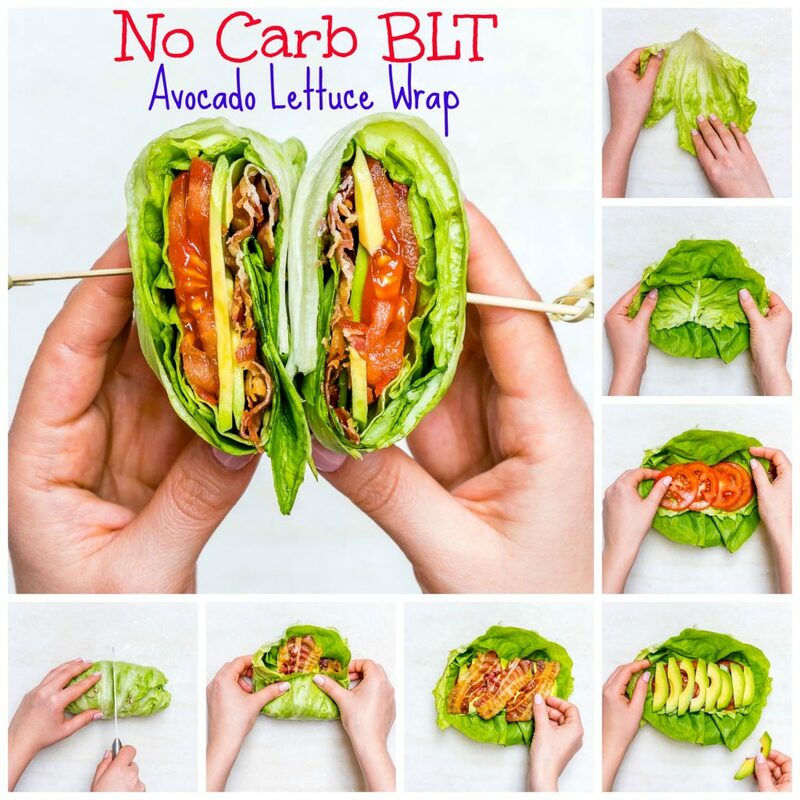 These are great for make ahead lunches! Enjoy!